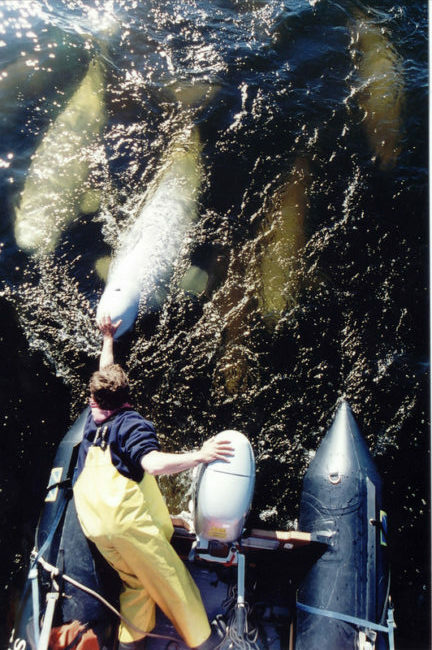 Birds, Bears and Belugas – The Great Canadian Travel Co. 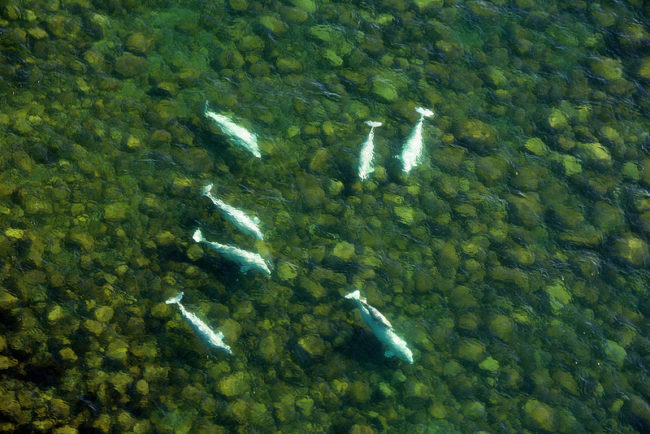 Birds, Bears, and Belugas – enough said! This is the best bear viewing opportunity in the summertime. Get up close and personal to the iconic kings of the Arctic at this heritage lodge, recently named to the prestigious National Geographic’s Unique Lodges of the World list. Check into The Grand Hotel, Winnipeg Airport. At 7:00 pm there is a group dinner at the hotel where you will meet your tour leader and other participants in your tour. This extraordinary tour to Seal River Eco-Lodge, a recent addition to the National Geographic Unique Lodges of the World, will take you into the northern wilderness for exceptional wildlife viewing, ecological interpretation, fascinating day excursions and delectable food. Enjoy an overnight stay in Churchill, authentic dog-sledding options and unrivalled photo opportunities in the heart of polar bear country. This morning you fly (very early!) to Churchill. On arrival you will be met by a staff member and provided with instructions regarding your morning transfer. Your adventure begins with a breathtaking aerial view of the winding Hudson Bay coast en route to your home for the next six days, Seal River Heritage Lodge. Be prepared to see huge pods of beluga whales, countless birds, caribou, and of course, the majestic polar bears. The Seal River Estuary is a summer favourite for these goliaths and they are regularly seen swimming or basking in the sun near the water’s edge. On arrival to the lodge you’ll receive a tour of the lodge and time to settle into your room before a full orientation of life in Polar Bear Country. 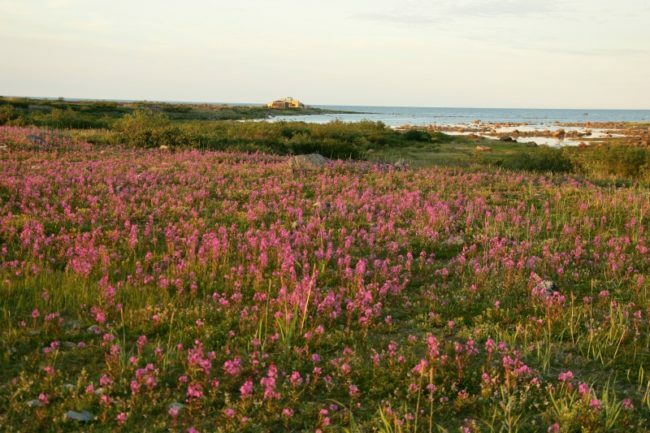 After a full-course lunch you will experience the Hudson Bay coast for the first time. The combination of diversity and sheer natural elegance will amaze you. Make sure your camera battery is charges as you’ll be eager to document each and every moment in this extraordinary and rare ecosystem. You first day at the lodge will be rounded out by the first of many gourmet dinners this evening, followed by time by a cozy fireplace for the evening, to wind down. Relax, recharge and rest for the five amazing days you have ahead! Trekking/Walking Tours – These are a daily part of the program and they range from short jaunts to photograph a passing caribou perhaps, to day trips with a packed lunch. 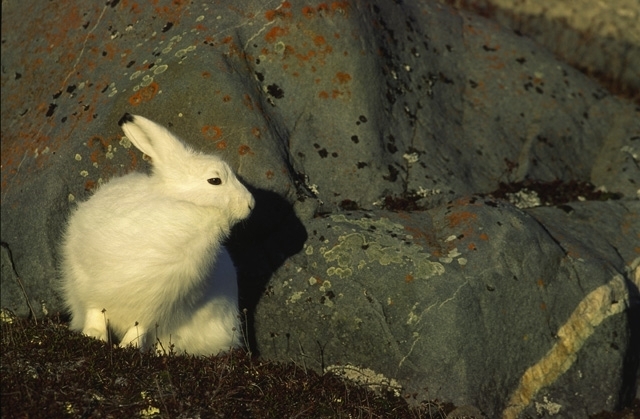 There is no better way to experience the sheer vastness of the Arctic’s flora and fauna. 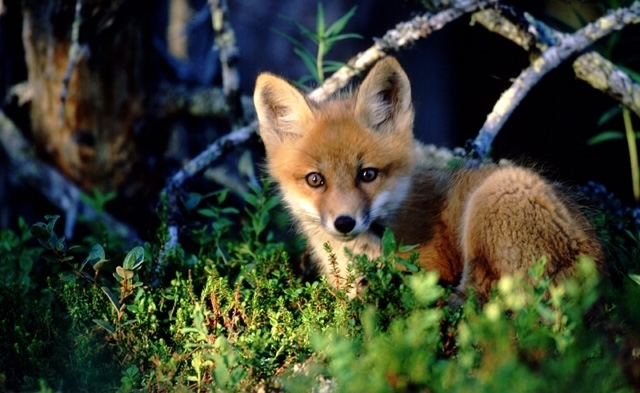 Nesting bird life, fox dens, wild flowers, and caribou are just a few of the sights you may take in. 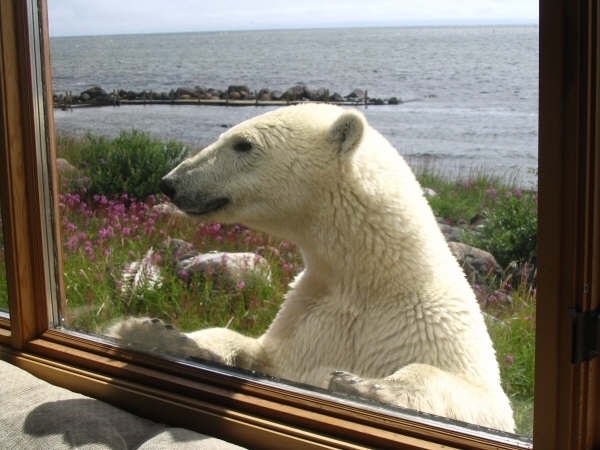 When polar bears are sighted, your guide will advise you about the best way to maintain a safe viewing distance. Your time at this gorgeous facility will be bound by the rhythm of your surroundings, the interests of you and your fellow guests will guide the choice of activities, and above all you will come to feel a part of this remarkable lodge. Each evening, life revolves around the fireplace as you will come together with your hosts and the naturalist experts and talk about your day’s activities and the rich natural life of the area. It will be a most memorable experience and one that will stay with you for your lifetime. Following breakfast on this last day, you return by air to Churchill. Have your camera ready for the flight, as it gives you great opportunities for excellent aerial shots. 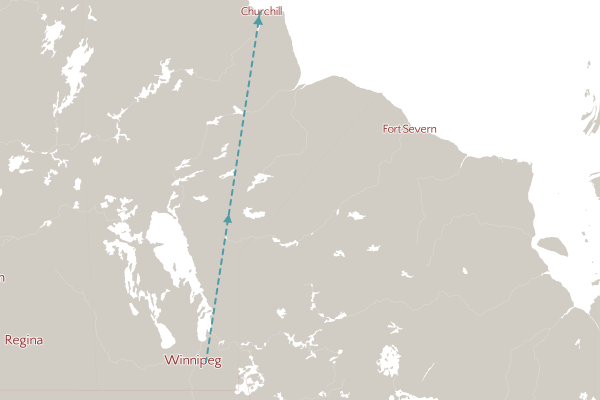 Your luggage will be stored for the day giving you time to explore the town of Churchill on your own, browse the shops, pay a visit to the Eskimo Museum and the Parks Canada exhibit. 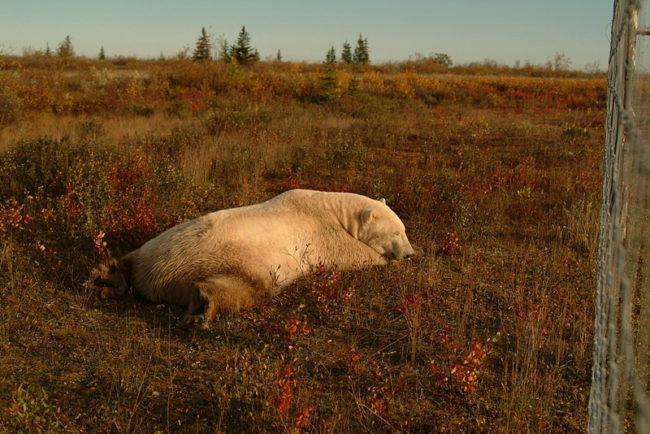 Take an escorted tour of Churchill with visits to Cape Merry, the Port of Churchill and the Polar Bear Holding Compound, known as “Polar Bear Jail” or a Tundra Buggy tour out on to the tundra. After dinner in town you will be transferred to the Churchill airport for the flight back south to Winnipeg. Check in at The Grand Hotel, Winnipeg Airport for an overnight stay. Your tour concludes after a restful sleep.